Kasey Cronquist, CEO and ambassador for the California Cut Flower Commission (CCFC), will be a panelist for a session at the Produce Marketing Association’s Fresh Summit in New Orleans Oct. 19-21. 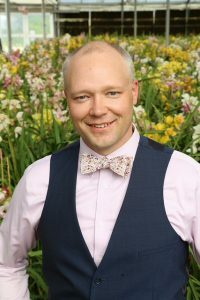 Cronquist will be speaking about trends in flower farming. The summit draws 19,500 attendees from 60 countries who meet with experts, leaders and decision-makers from every link in the produce and floral supply chain. The event is also a professional learning opportunity where attendees hear about today’s bright ideas that will reshape tomorrow’s produce and floral landscape.